Beginning of March we reported the creation of Luxaviation Helicopters Charter Alliance, meant to connect VIP helicopter charter operators and to open new opportunities, new destinations for clients, brokers and operators all arround the world. This time you have an opportunity to have an inside view from the CEO of HeliFlite Kurt Carlson. 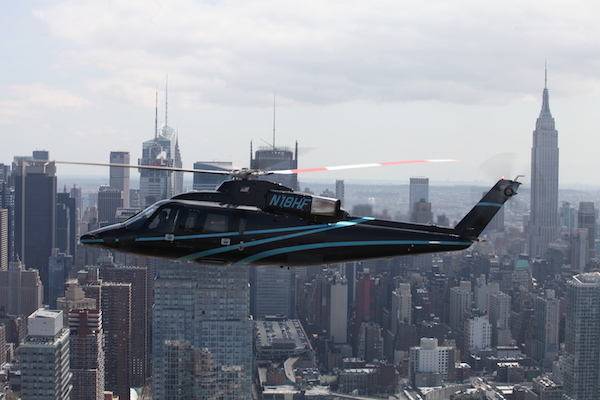 As a New Jersey-based helicopter operator, it is only natural that the majority of our business has typically been carried out on the East Coast of the United States. However, in recent years, as our business has developed and grown, we have received more and more requests from clients to service them further afield. For example, we recently started operating in Chicago, Illinois, to expand our service offering in the US as a result of receiving a greater number of requests to and from the city. 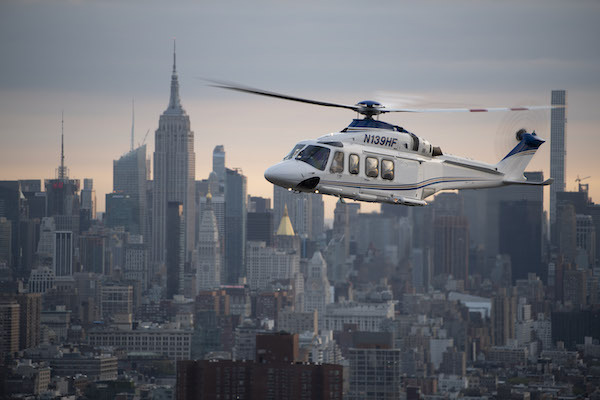 This growth and spike in requests led to us partnering with Luxaviation Helicopters, the VIP rotorcraft subsidiary of the fixed-wing charter operator Luxaviation, based in the European city state of Luxembourg, and the development of the Luxaviation Helicopters Charter Alliance. We initially partnered with Luxaviation Helicopters at the European Business Aviation Conference and Exhibition (EBACE) in 2018. EBACE is held annually in Geneva, Switzerland, and is Europe’s leading business aviation conference with an average attendance of 13,000 industry professionals. It is now almost one year on from this initial partnership and we have benefitted significantly as a result of it; our European profile has grown exponentially and, not only have we been able to service more clients by referring them on to Luxaviation in Europe, we have also seen this have a positive impact on our US activity, because clients value the service we have been able to provide on this side of the Atlantic. It is for this very reason that we are delighted to be a part of the brand new Luxaviation Helicopters Charter Alliance, the helicopter charter industry’s first truly worldwide alliance, that is set to link brokers, clients and operators all over the world. Being a member of the Charter Alliance means greater helicopter access to more of the world’s regions for our clients; for example, if we receive a charter request from a broker or client at our New Jersey office to book a helicopter flight on the Côte d’Azur in France, we will be able to contact the relevant member of the Charter Alliance, based in France, to organise this on our behalf. This saves the broker or client in question having to source an operator in the region themselves, often conducted via a quick Google search resulting in one they are unfamiliar with. The Alliance is an incredibly effective and efficient way to book worldwide charter flights. One of the key benefits to the Luxaviation Helicopters Charter Alliance is that every member must be audited and approved at point of entry, to ensure they meet the universally high standards of the Luxaviation Group, as well as the other members of the alliance. At HeliFlite, we pride ourselves on our Wyvern Wingman and ARG/US Platinum safety ratings, the highest in the industry, and being part of the Charter Alliance will enable us to recommend similarly esteemed operators in other regions to our clients. Like every aviation business, we treat flight safety as our number one priority; so, having such a dedicated and strong platform in place throughout the Charter Alliance is something that is especially important to us. We are truly excited to see the Charter Alliance develop as more and more like-minded global operators come on board. This will lead to a more seamless and streamlined service, benefitting everybody involved, no matter what their position is in the chain. We are looking forward to receiving the benefits that being part of an established global network will have on our own operations and especially being able to pass these on to our valued customers.